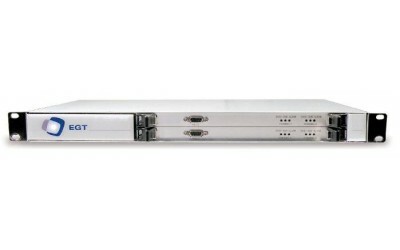 EGT Encore is new high-performance solution for analog TV-channel encoding to MPEG-2 TS. 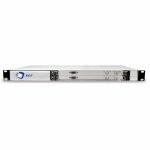 Due to compact design, chassis of 1RU size comprises 2 encoding boards, each of which can digitize up to 2 channels. High quality of received output image is achieved via application of 2-pass digitizing technology. Such technology means that analog signal is processed in two stages: during the first stage of processing, statistical information on analog signal is collected and during the second stage, digital-analog conversion is performed on the basis of obtained data. Option of digital VBI signal conversion to SCTE35 messages makes this device irreplaceable in case of need to insert the regional advertising. Flexible variation of parameters during ordering of this equipment enables the choice of exact configuration that will be the most cost-effective for customer.